Do you want thousands of followers on Instagram? And without lifting a finger. 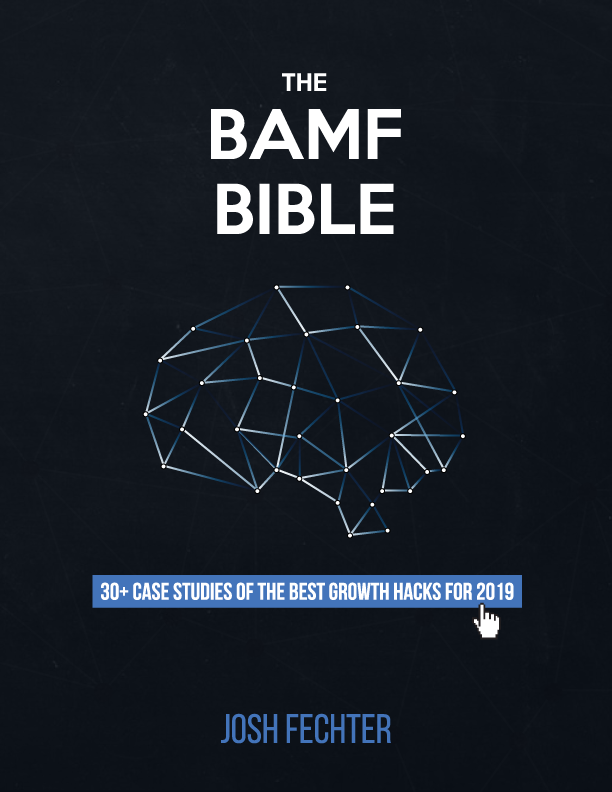 In this blog post, you’ll get the entire guide to automating your Instagram account to thousands of followers and generating revenue. We have every detail you need to start. 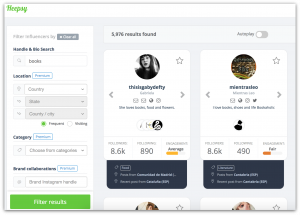 Use Heepsy to identify influencers in your niche. 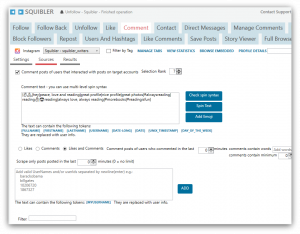 Use the filter to find people by keywords in their bio or even location. 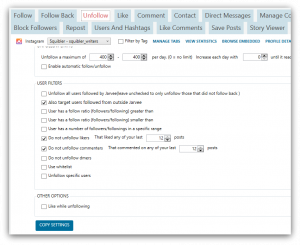 You can also choose whether the profile belongs to a person or a company or has a certain follower ratio. 1. Post a new picture every day. 2. 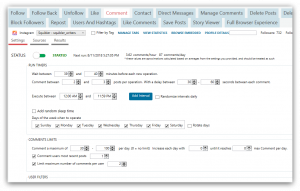 Test to find the ideal posting time as it’s different for every niche. 3. Post the same type of photos as the influencers in your niche post. If they post pictures of beautiful San Francisco, then you should post only pictures of San Francisco. Don’t mix it up. If they don’t post pictures of San Francisco food, then don’t post pictures of San Francisco food. 4. If you want to post pictures of yourself, you can’t entirely automate the process. You’ll still have to take pictures. Again, look at what works for influencers in your niche and take the same pictures. They know what works best. After all, that’s part of how they got a loyal following. 5. You don’t get exceptions. If you’re taking the pictures yourself, they need to be on the same level of quality as the influencers in your niche. 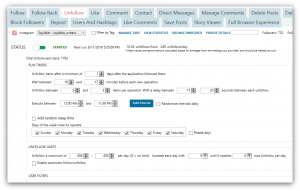 To avoid getting your Instagram account banned, you must gradually raise the automation settings for the first month. It takes time, but you’ll see results soon after. The gradual raising of Instagram automation took me months to learn. I had to restart each time my account got banned. Now, I have settings that work every time. You may be wondering if this works for your business. Ninety percent of the time, the answer is “yes.” If you sell software, you can still market your team using lifestyle pictures with quotes from industry events. First, grab a username. Make it memorable and easy to find. 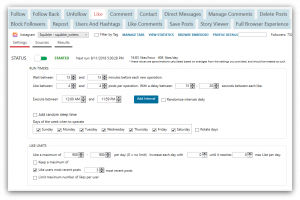 Add a retargeting link to your bio using ClickMeter. 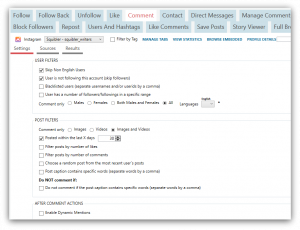 This allows you to keep track of followers and retarget them on Facebook. Next, buy and install Instazood. Post three photos every day for the first four days. Pay Instaboostgram for 500 fake followers = social validation. Remove 150 fake followers for every one thousand real followers. Make sure to turn off your automation settings the entire day you remove fake followers. Run Instazood on slow and only Like tags with “like4like” and “likeforlike” posts for 4 days. Add 2-3 highly relevant hashtags in addition to “like4like” and “likeforlike.” If you’re in a yoga niche, the added hashtags might be #yogini or #yogi. You get the idea. Continue to post 1-2 photos a day. 1. 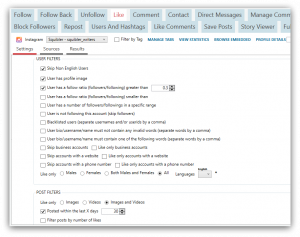 Once you have, at least, 15 pictures and 500 followers, move your Instazood settings to easy. Only turn on the auto-liking feature. 2. At 600+ followers and 20+ pictures, begin Instazood auto-commenting. 3. 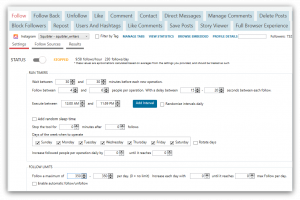 Once you have 650+ followers and 22+ pictures, use Instazood follow and unfollow settings on easy. 4. At 700+ followers and 34+ pictures, move the settings to normal. 5. At 800+ followers and 50+ pictures, move the settings to fast. 6. 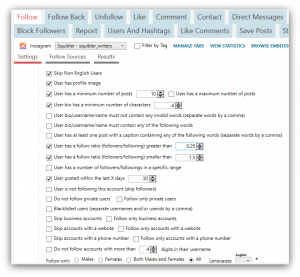 Manually turn off the follow/unfollow settings to see faster results. Try to keep a 2/1 ratio. Automated commenting is powerful when used right. When used wrong, it can hurt your brand. The first rule of automated commenting is to use mostly comments that mention the entire profile, not the picture it’s on. Having an automated comment of “that’s cool” on a baby picture is not cool. Use comments that reflect their overall love for their profile such as “awesome profile,” “nice profile,” “great photos,” and “cool photos.” You should have at least nine comments you switch around. Make sure you don’t comment on the same users! Posting the same comment on a user’s profile screams spam. If you’re looking to repost content without ever creating your own, then discover photos by searching hashtags on Instagram. 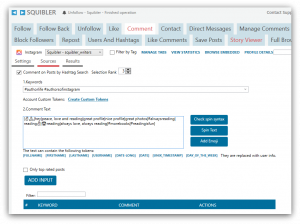 Make a list of the most relevant hashtags and influencers so you know where you can quickly grab photos to re-post. Outsource this process to a virtual assistant through Upwork. To help with organization, add photos to DropBox folders labeled by month. Download the DropBox app. Now you can easily log in and log out of Instagram to post pictures by simply saving them from DropBox to your phone. Posting 5 pictures to 5 different accounts takes about ten minutes. Don’t worry, there’s an even easier process. Include the description of the photo in the DropBox file name. This enables you to quickly copy and paste the description when you upload photos. Just click “Rename” in the DropBox app, then copy the description. On average, you should collect and add a description to 30+ photos in an hour and a half. Make sure to remove “.jpg” at the end of the description before posting. What photos should you repost? Look for ones that have quality contrast and a significant amount of likes and comments compared to other photos the accounts have posted. For your uploaded content, people like worldly descriptions, such as “A beautiful day no matter rain or shine because yoga replenishes your soul.” That took me two seconds to write. It doesn’t have to make sense. Most of my descriptions don’t. It just needs to sound nice. Don’t ask permission to repost their content. It’s fine as long as you tag them. Trust me. You won’t get sued and ninety-nine percent of the time they don’t care. If you’re a noob marketer, ideally the link should go to a dedicated landing page. I’ve created a two-hundred thousand dollar sales funnels with this strategy. Once you have 1000+ followers, use Jarvee (only works on PC – need a VPS for Mac) to auto schedule every post so you don’t have to do so manually or simply hire a virtual assistant from Upwork. I’ve started on Jarvee with accounts that had only 500 followers, but there’s a risk when doing this to getting banned. As you notice, the follow setting in Jarvee is at an average of 230 followers/day. I make sure to be selective about the users I follow. If you follow more quality users, then you can have an increase of 1000% in your follow-back rate. I do this by skipping non-English Users, making sure they have a profile image and are active on Instagram. I also don’t want to target people who are influencers because they won’t notice my follow. So I target smaller accounts, but not too small. For Follow Sources, I target the most active engagers of target accounts. That means interacting with people who interact with the target posts on a relevant influencer profile. They must’ve interacted with recent posts as well. For Unfollowing, feel free to do up to 250 people/day. Notice in the first setting how we give a one-day barrier to ensure whomever we followed has a chance to follow us back before we unfollow them. It’s important that when you unfollow people you do it to the people who don’t engage with you. This feature will enable you to only follow the people who provide the most reciprocity. For Liking, we engage with upwards to 400 pieces of media content/day. 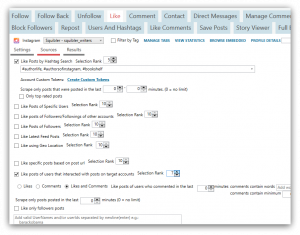 Similar to commenting and following, we ensure we only engage with the most targeted users. For sources, we split between hashtags and users who engaged with posts on targeted profiles. 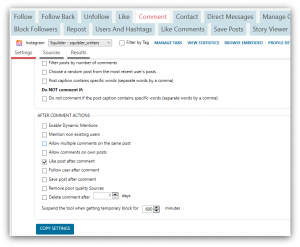 For Commenting, we engage with upwards to 400 pieces of media content/day. I make sure to be selective about the users I comment on. If you engage with more quality users, then you can have a huge increase in your follow-back rate. I do this by skipping non-English Users and making sure they are not already in our network. I also make sure to target people who are active. I make sure to be selective about the users I comment on. If you engage with more quality users, then you can have a huge increase in your follow-back rate. I do this by skipping non-English users and making sure they are not already in our network. I also make sure to target people who are active on Instagram. In regards to commenting, I use spin syntax to engage with relevant comments on relevant users. That means either targeting by geolocation, hashtag, or interactors of posts on a target account. Notice how we use comments that compliments their overall profile. This way, the comments look genuine. 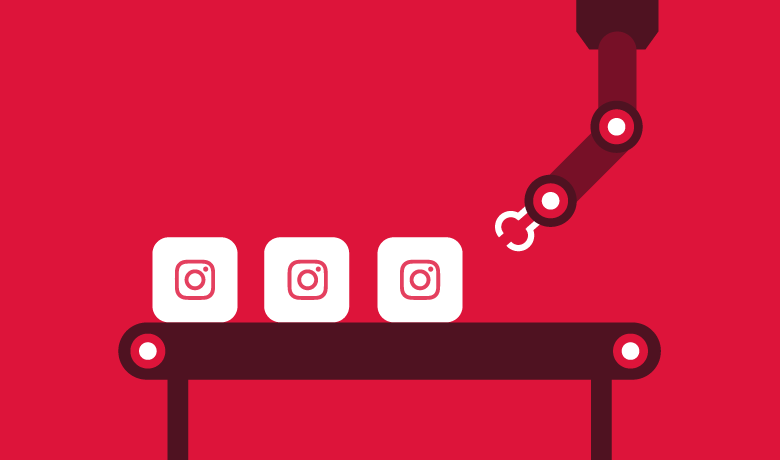 You’re done setting up your account for Instagram automation. Still, there are always more advanced tricks you can use if you’re running many accounts at scale. Before you jump into asking how you can work horizontally with more accounts, let’s see how you can improve the processes we already have – that’s thinking vertically. 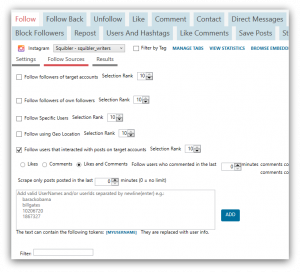 One way is to use the right hashtags and engagement groups for even more follower growth. Engagement groups are communities of influencers who engage with each other’s posts to boost them in the feed. These are both proven strategies to get more followers. Now that you have less work and more time – you have all the opportunity to think of new ways to grow your company’s online presence. Best of luck.